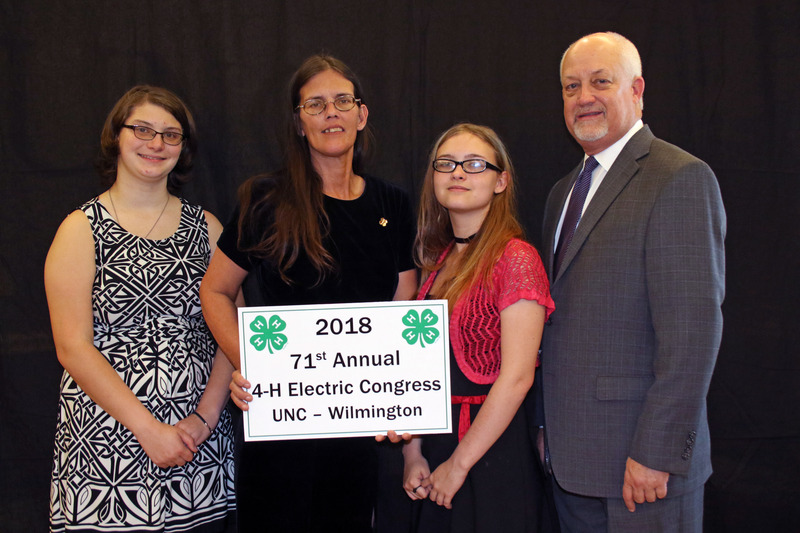 A delegation from Surry County attended the 71st annual 4-H Electric Congress July 10-12, 2018, at the University of North Carolina Wilmington. 170 4-H’ers, adult leaders and N.C. Cooperative Extension agents from 47 counties attended the three-day event. Since 1947, Duke Energy and Dominion Energy have sponsored the annual congress to emphasize electrical energy concepts, energy conservation and safety working with electricity. The 4-H electric program is one of the most popular activities among Tar Heel 4-H’ers. Rebecca Cahall, was recognized at the conference as the 3rd place winner of the Duke Energy Carolinas Territorial Award. The 4-H program is the youth education program of North Carolina Cooperative Extension, based at North Carolina State and North Carolina A&T State universities. 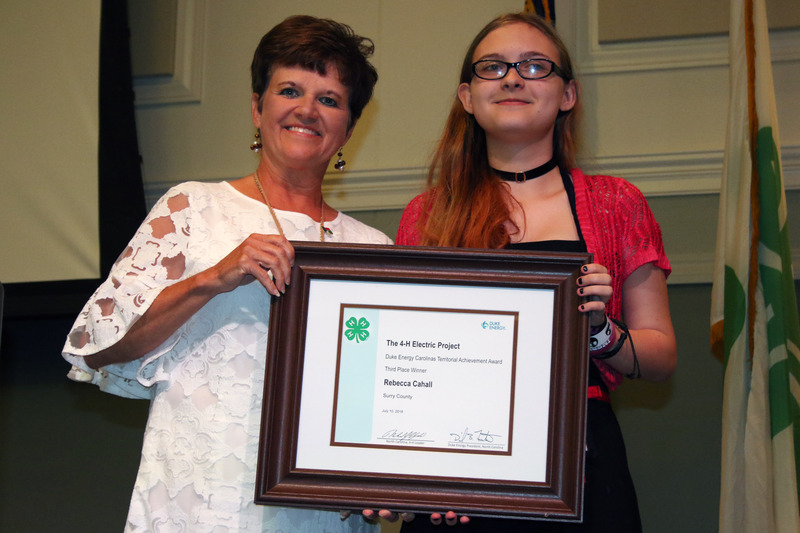 More than 232,000 young people between the ages of 5 and 19 participate in North Carolina 4-H activities each year with the help of 20,563 adult and youth volunteers. Pictured from left are Laken Williams, Bonnie Cahall, Rebecca Cahall, also Wayne Huddleston, Account Manager with Duke Energy.